June is coming to an end, so it's time to bring out the Patriotic decor for the 4th of July! I don't go crazy for this holiday, but I do have fun adding a bit of red, white, and blue around the house! 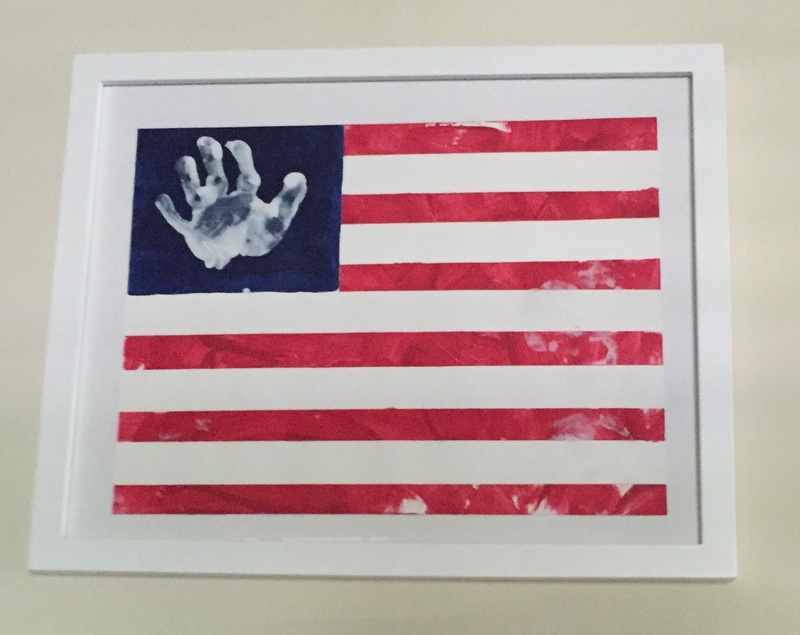 This year, I wanted to add a Parker original to our 4th of July collection. 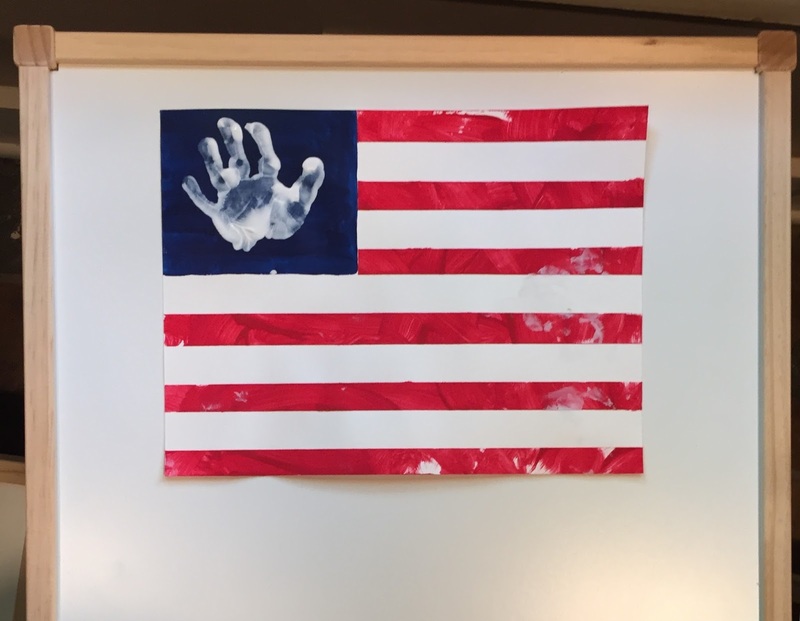 American Flag art seemed like the perfect idea! I started with a piece of Canvas Paper and just eyeballed it with FrogTape , marking off the spaces I wanted to remain white. I also covered up the rectangle that would later become blue, so that Parker could cover everything with red. 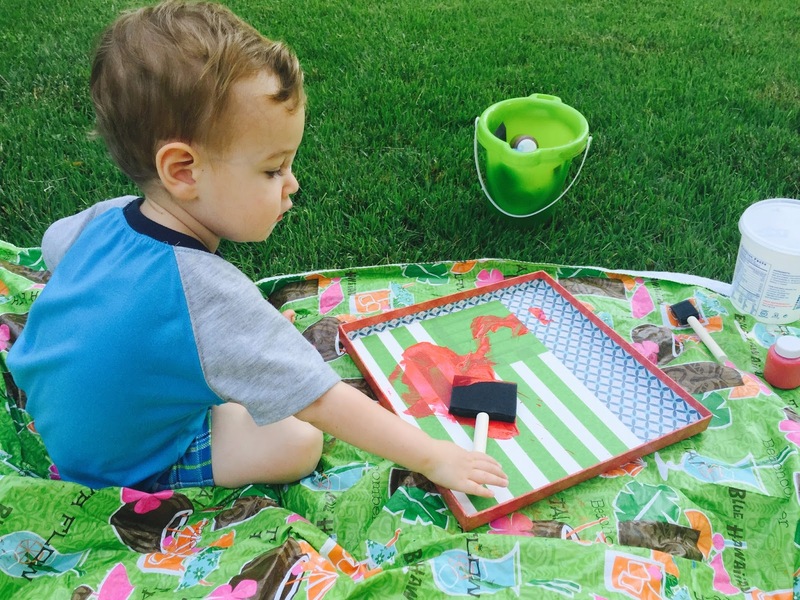 We always use Crayola Washables - thank goodness for washables because painting with a two-year-old is a hot mess, hence our outdoor painting sesh! It took a bit of prompting for him to cover the entire page with red, but I really wanted it to be all his work. 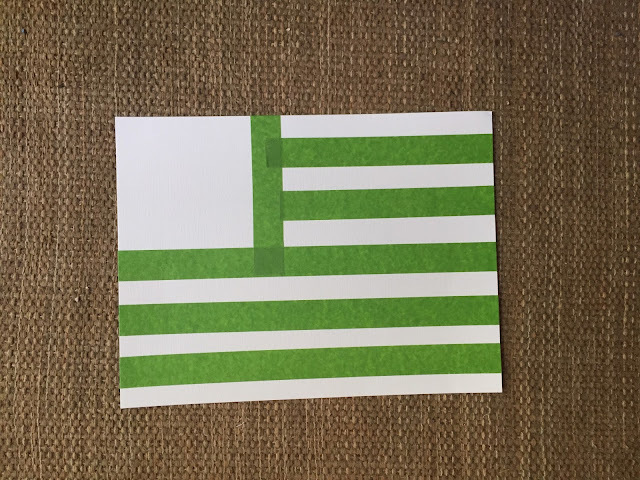 Here's the step-by-step of the Flag Art. I let the red paint dry for a full day before I pulled up the tape and added the blue rectangle. After letting the blue dry, I painted Parker's hand white and made a print on the blue to represent the stars. He took creative liberty and made some extra smudges on the red and white part, but I think it just adds character! I framed the page and I'm loving it so much I think I want to keep it up on the wall all year long! Do you decorate for the 4th? Do tell!